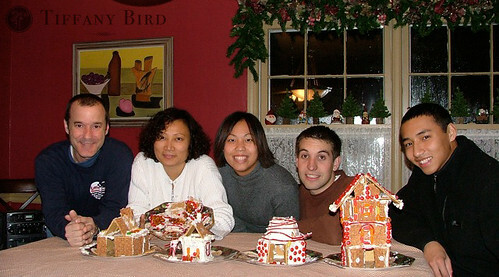 Our 2nd annual gingerbread house contest with my parents and brother. 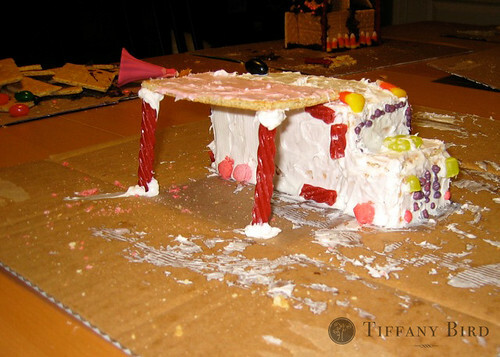 There are so many great ideas for family traditions out there floating around the blogosphere. 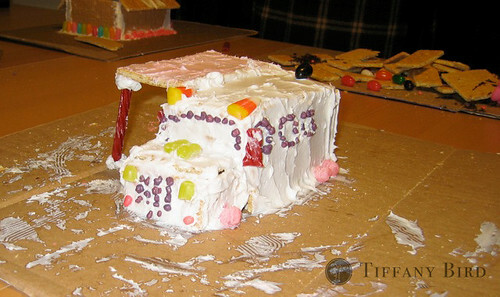 One of our family traditions at Christmas is our annual gingerbread house building contest. It was a tradition that Nathan and I started our first Christmas together as a married couple where we spent it with my family. Every year, the houses get more and more elaborate. 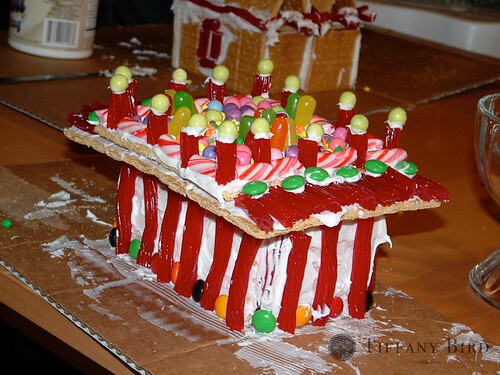 And every year, we find numerous creative ways of using graham crackers, frosting and candy decorations. My little brother is notorious for building the craziest stuff. Have a guest of honor each night at the dinner table. Everyone says something nice about that person. Visit a local nursing home to cheer up those less visited – carol, do a puppet show, karaoke, play games. Anonymously donate items to the homeless shelter or to a family less fortunate. Have a family outing to a museum or a play. Start a traveling package with a family member out-of-state by filling a shoebox or a flat rate box with little gifts or homemade items back and forth to each other. Make a special meal or treat and only make it around the time of the holiday. Write a year in review letter to your future self or to your children/grandchildren and talk about the lessons learned that year and the things you are grateful for. Look through old family photo albums or scrapbooks and laugh at old memories. Do a Christmas treasure hunt by hiding all the gifts Christmas morning and having the children hunt for them. What are some of your most cherished family traditions? 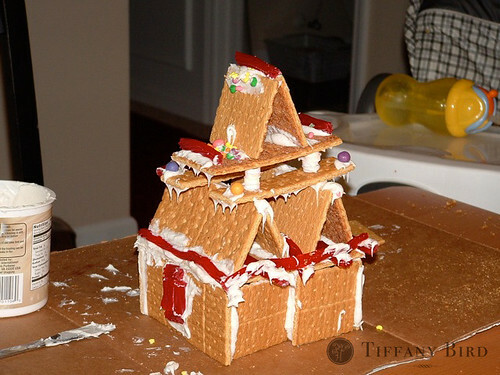 Your gingerbread houses are so fun! I love the idea of having a competition. I’ll have to talk to my family about that. I love having everyone writing up a list of their favourite things: food, colour, book, song, toy/gardet, etc. the kids love reading previuos year’s answers, and they choices usually change every year, so it is a great way of keeping track of their progress. And it is fun with the adults too, we also change a lot!